Apple is not only rumored to be developing an “entry-level” MacBook boasting a 13-inch LCD display, but the unit could potentially serve as a replacement for the company’s aging, 13-inch MacBook Air when it launches, according to a DigiTimes report published this morning. Citing comments from Chou Hsien-ying — the Chairman of Taiwanese touch panel supplier, General Interface Solution (GIS) – DigiTimes asserts that GIS will begin supplying Apple with ‘LCM panels’ during the fourth-quarter of this year, adding that those panels are destined for the entry level MacBook model. “With new orders for MacBooks and other models, GIS is expected to ramp up its LCM shipments to 600,000 units a month by the end of 2018 compared to 300,000 units currently,” sources with knowledge of the agreement were quoted saying. While mumblings from the rumor mill about a 13-inch MacBook have been essentially non-existent up until this point, the possibility of its incoming has increased speculation about the future of Apple’s 13-inch MacBook Air. As its least expensive laptop offering, the 13-inch MacBook Air received a modest refresh last year — albeit to an already outdated, 5th generation Intel ‘Haswell’ CPU. Apple’s 11-inch MacBook Air, meanwhile, was discontinued back in 2016, leaving only the 13-inch model as a remaining player in the company’s uber-thin MacBook Air line. 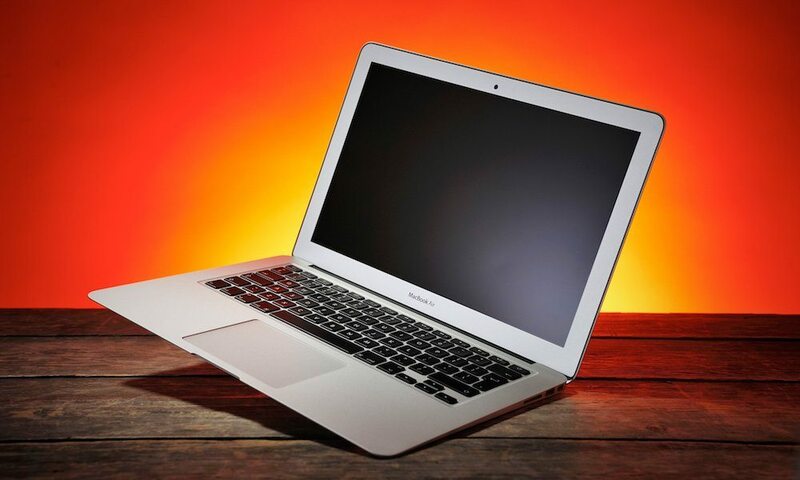 Is Apple Killing the MacBook Air? Despite its aged internals, the 13-inch MacBook Air has interestingly maintained popularity among users looking to experience Apple’s macOS at a reasonable price. And while it makes sense from a business and marketing perspective that Apple would discontinue its MacBook Air in favor of a standard ‘MacBook’, certain elements of the DigiTimes report raise more questions than they answer. If Apple were in fact to release a 13-inch MacBook as an alternative to its lone, 12-inch offering, the 13-incher would more than likely retail in excess of the 12-inch model’s current $1,299 base price — and if that ends up being the case, it most notably begs the question: why wouldn’t users just pony up a hundred $$$ more for a 13-inch MacBook Pro, which trumps the Air and MacBook on numerous fronts, at that price point? Considering the otherwise scant details in today’s report as they apply to a “sensible business strategy,” it remains to be seen, really, what Apple intends to do with its upcoming influx of 13-inch LCM displays — but an entry-level MacBook option, perhaps featuring older but still capable internals, may very well be in the company’s pipeline for later this year. As Alex Cranz of Gizmodo best sums it up: while “rumors of a new, cheap, 13-inch MacBook might not make absolute sense at the moment,” it’s at the least sensible to predict Apple will eventually kill off the 13-inch MacBook Air.